My recent rediscovery of the Arclife Records catalogue unearthed some amazing female artists, some of whom featured in a recent Counting The Beat episode. However, that wasn't all that deserved an airing so this episode continues the exploration of the Arclife catalogue, the recording offshoot of Dunedin's Arc cafe. Kitset released the album Testpot on Arclife in 1999. It's guitar based pop in the Dunedin tradition but has an epic, wind down the car window, open road sound that reminds me a bit of the kind of driving drone of Snapper or Bailter Space. Kitset were to release a second album on Archhill Records, but as far as I'm aware it never came about. 'Headlights Gone', a song that was destined for that second album did appear, however, on the 2002 Arclife compilation Arc Beats and follows in the same vein. Appearing on the same compilation is an otherwise un-released track from Martin Phillipps of the Chills. The song 'I Don't To Live Forever' was performed by both The Chills and Martin Phillips over a long period of time and was demoed for the Chills Sunburnt album. The version on the compilation was initially recorded in 1993 but then given some gussying up for inclusion on the compilation. While the song itself is a good one I'm not so sure about the choice of a fairly dinky sounding keyboard, I would have liked to have heard this given the full band treatment. I once saw Martin Phillips play an Arc Cafe Christmas party to a packed room and finish his set joined by David Kilgour to play some Velvet Underground covers. 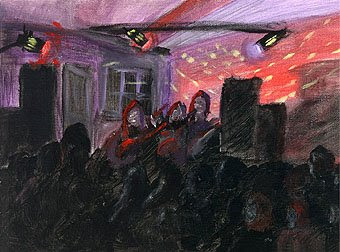 I've put a clip for a more sedate recent live performance on the video page. 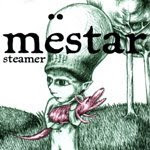 Mestar seemed indicative of a change in the Dunedin music scene from a determinedly alternative outlook to a more pop focus. While on Arclife the group released two albums, Mestar (1998) and Porcupine (2002) and an E.P. Steamer (2000). The song 'Turtle Control', a great noisy melodic pop song, comes from that E.P.. Mestar later made the move to Archhill Records for their latest album Shut the Squizwot Factories Down. My memories of seeing Suka live were of a maelstrom of guitar. Matthew Thornicroft, the guitarist always seemed to end up with bleeding fingers and he would have specks of blood splattered over the front of his shirt. Listening now to 'Dancing To Tibet', the title track from Suka's 2001 E.P. you would never pick that. This is jaunty little number with a Velvet Underground chug, some 'ahh, ooh's' and even harmonica. If it is the noisy Suka you're after try and track down their 1995 album Nimrodiaboligue.